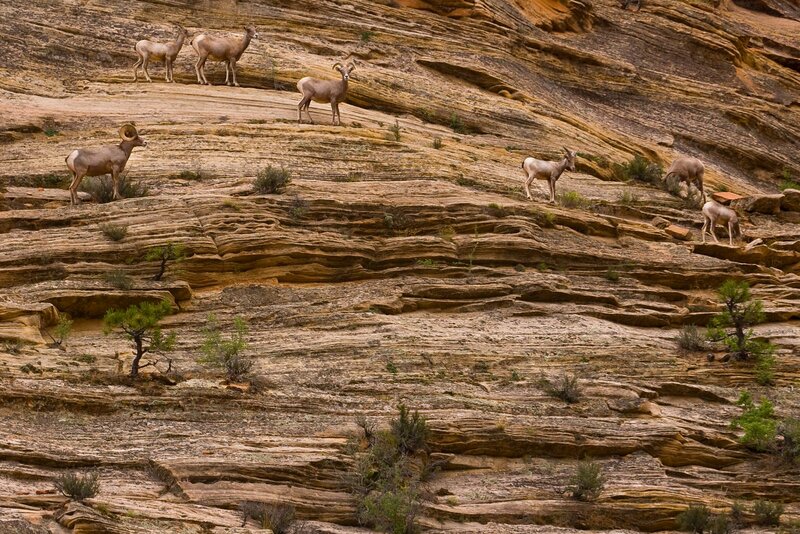 I came across this herd of mountain sheep while hiking in Zion today. I sat and watched them for quite some time, and followed them the best I could - which was difficult because they are walking on a rock wall that is almost vertical. It is rare to see this many sheep together at one time, and it was interesting to see the way they climb from place to place in areas that look impossible to walk.